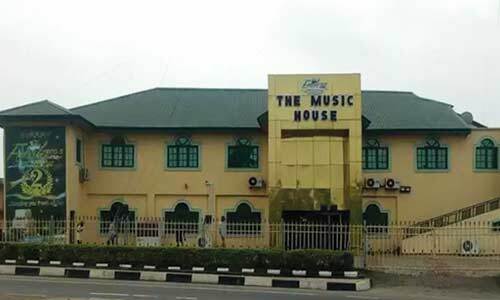 The building housing a radio station and music studios belonging to a musician, Yinka Ayefele, is on the verge of being demolished by the Oyo State Government for contravening physical planning laws of the state. A demolition notice with reference number TF20181308/002 pasted on the wall of the building on the Lagos bypass, after Challenge bus stop in Ibadan by a task force officer from the state governor’s office, said that the structure should be removed in three days and that failure to do so would warrant government action to remove the structure. As contained in the notice, the grace granted by the government expired on Wednesday so the order could be carried out on Thursday (today). Punch correspondent gathered that the notice was the second sent to the owner of the radio station, Fresh FM, in 10 years. The building, which has four studios for radio broadcasting and music production, is said to worth around N800m. It is also understood that the station has a staff strength of 150. A news director at the station, Samson Akindele, wrote on his Facebook wall that in 2012, the building was marked for demolition but was spared when Governor Abiola Ajimobi intervened. Some sympathisers of the station and Ayefele said the building was targeted because of some of the programmes aired by the station, which were considered anti-government. Reacting to the demolition notice, the state government, through the state Commissioner for Information and Culture, Toye Arulogun, said Ayefele’s building was only one of many others served.